It’s a little funny for me to call a grilled cheese brunch food because the truth is, I eat grilled cheeses all. the. time. If I have bread in the house, and I’m hungry, it’s always a toss up between grilled cheese, cinnamon toast, or avocado toast. I have a hard time keeping a supply of avocados on hand (someone –okay, fine it’s me– keeps eating all the avocados before they make it to toast-topping) so it’s usually grilled cheese. Because, grilled cheese. The other day my mom gave me a bunch of apples she picked out of some random person’s yard (yup, pretty much proves my mom’s a hipster forager) so I put together this little apple cheddar grilled deliciousness. I added some mustard in because mustard and cheese are actually secret BFFs but only when pretzels aren’t around. Gosh, thinking of it, this sandwich would be absolutely amazing on pretzel bread. But, this was really, really good too. 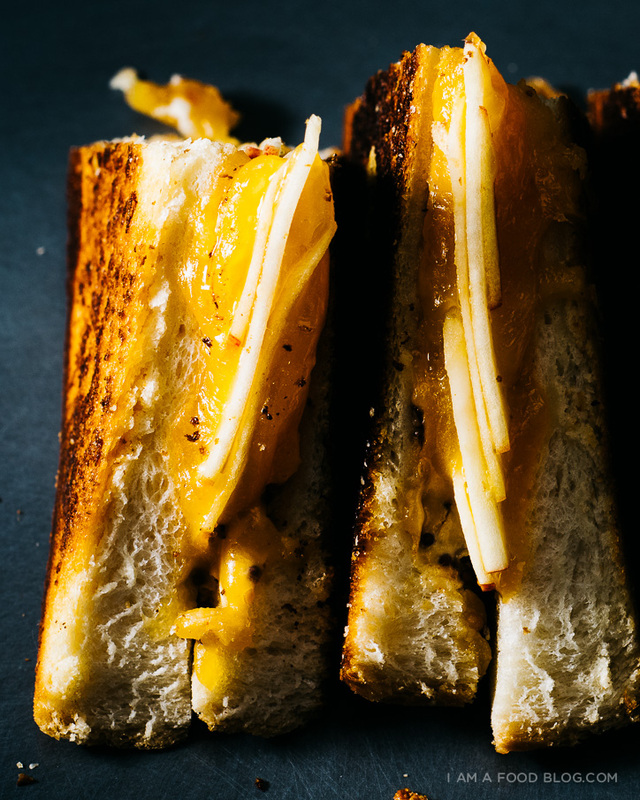 The crunch of the apples and the gooeyness of the cheddar with the crisp yet soft butter grilled bread…ugh, writing about it makes me want another one right now. What are you waiting for?! I bet you have apples, cheddar, mustard, and bread in your house right now! Oh, and yeah, I was joking about my mom stealing apples from some random person’s house. It was actually someone she knows. But…they weren’t home at the time(!). Heat up a non-stick pan on medium-low heat. Butter one slice of bread and place in the pan butter-side down. Spread on some mustard to taste and top with half of the shredded cheddar and the sliced apple. Add the remaining cheddar on top of the apple slices, making sure to get to the edges. Butter the other slice of bread and place on top of the cheese, butter-side facing out. Cook slowly on medium-low heat until golden brown and toasty. Most of your cheese should be melted when it’s time to flip. Carefully flip your sandwich and continue grilling. The second-side grills a bit faster, so turn the heat down to low and keep a close eye on it. When toasty brown and perfect, remove from the pan, and enjoy hot! And, on another note: I’m in Tokyo! It’s a dream come true. We’ll be here for a little while, but don’t worry, I’ve cooked up a storm and am going to be updating on the regular. I’m planning on cooking in my tiny Tokyo kitchen (post about that coming soon!) and doing some general travel posts. If there’s anything you’d love to see, let me know in the comments and if you have any suggestions on where to eat and what to do while I’m here, I’d love to know! PS – Follow me on Instagram if you want to sneak a peek into my life in Tokyo. One of my fav combinations for grilled cheese! Yum! 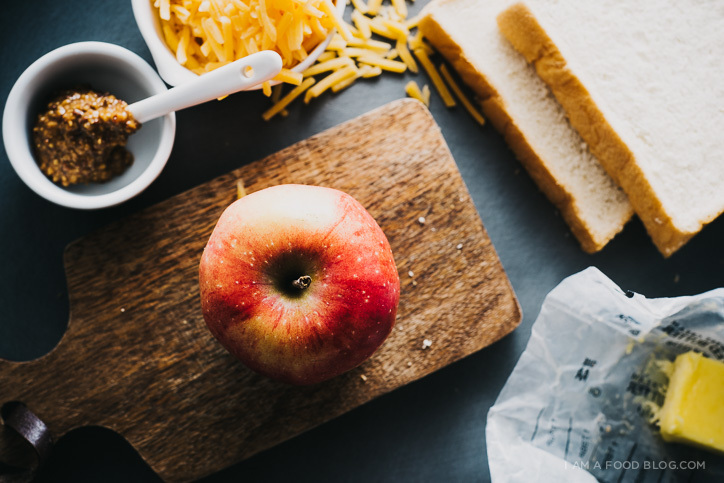 Apple and cheddar = perfection! OMG you’re in Tokyo!?!!?! So jealous!!! This grilled cheez is bomb, I’ve always loved apple slices in my grilled cheeses. OMG so much to love about this post. 1. Yes yes yes apple + cheddar!!!! I second Katrina and Michelle — one of my FAV COMBOS ever. But I’ve never tried mustard! So genius. 2. YAY YOU MADE IT TO TOKYO!!!!!!!!!!! AHHHH I can’t wait to hear all about it!!! YAYAYAY!!! and finally 3. ROFL at your mom. I just. I love it. So happy for you Steph!! I can’t wait for all your Japan adventures. I’m a grilled cheese a holiday and glad to see some ways to fancy it up! Love it, grilled cheeses any time. This is a really interesting flavour combination I never would have thought of. Which is why I keep your blog bookmarked! Thanks!! The addition of bacon is also amazing with apples and cheddar. I love grilled cheese!! Perhaps a Monday brunch! Excellent change up from the pear and brie panini I like to make! Thanks for the suggestion and keep up the good work!!! I just recently jumped on the apples + cheddar bandwagon, but I’m all over this. It looks awesome! 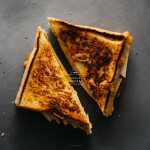 This grilled cheese looks amazing, why haven’t I ever thought of adding apple?!?!?!!?! Genius! I am all about the cheese. ALL ABOUT THE CHEESE. 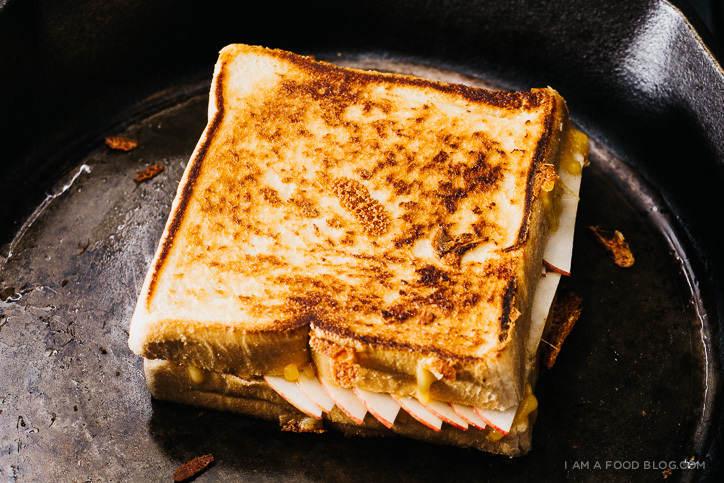 You are nailing it with the apple and cheddar. Sometimes I just eat a chunk of cheddar with an apple. Amazing. I came across this a few days ago and could not stop thinking about it. So I planned to make this for Sunday brunch, however, the idea of waiting till the weekend was killing me. I found some pretzel bread at my local market and it was on! I used some delish Fiji Apple’s and Ford Farm white cheddar. I chose stone ground mustard. I will be making this often because it was unbelievable!!!! I paired it with an awesome Ale…….my friends were blown away! seriously, I think I’m in love with you. Hi Steph > I ‘m a lazy old fart and love good lazy food. Being a Canadian know as Cheese Heads by the Americans neighbours, I am making this for dinner tonight. We love cheese. 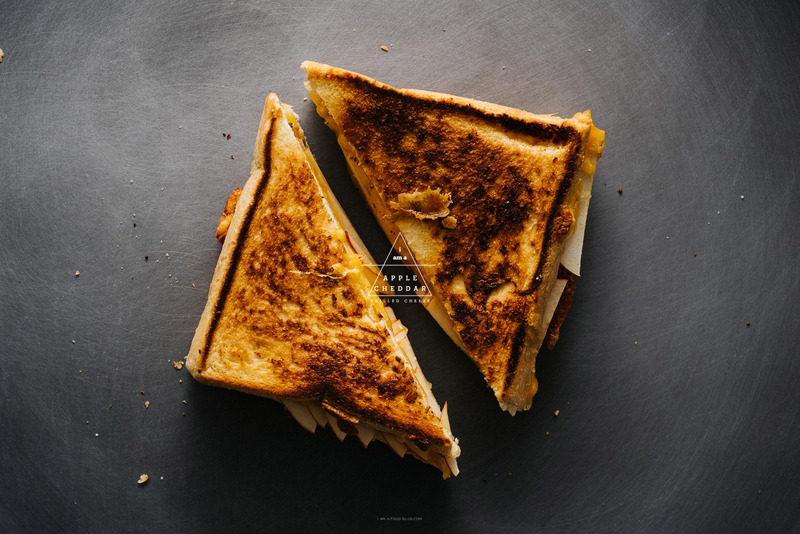 Read another recipe for a grilled cheese with caramelized onions, sound good too. I would add apple slices. Great site I will return.